Black and White is always the perfect combination. 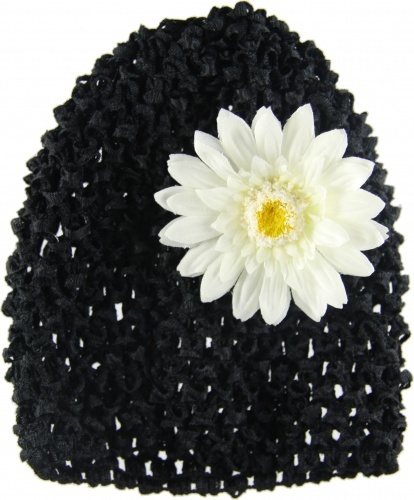 This is a Black Infant Waffle Crochet Beanie that has a 2.75" White Silk Daisy already attached with an alligator clip. The clip can be interchanged with any other flowers on the website and also with the 411 topper series of bows that are also attached to alligator clips.